M. … Of course, we know ‘we’ are primarily awareness where no distinctions whatsoever are valid, such as male/female. But something occurs to me just now, and is that prior even to the apparent multiplicity I mentioned above, and perhaps even more significant if not more real, is the presentation or exhibition in nature – amounting to a cosmological law – of the dichotomy or binary positive-negative, active-passive, static-dynamic, yang-yin, potentiality-actuality (this one an Aristotelian distinction). And, of course, male-female. And, by extension or implication we have: angularity-roundness, left brain-right brain, etc. Someone I knew (a traditionalist or perennialist) wrote in one of his books that poetry is masculine and musicality and dance feminine… man is protector and woman nurturer; doctrine male, method female (in Buddhism it is the reverse, i.e. 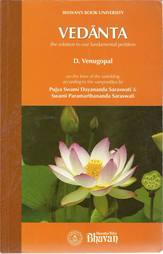 doctrine as prajna). Further, Sophia (wisdom) is female, represented by the goddesses Athena and Saraswati, also Minerva. And so on.